A New Report Shows That the Palestinian Movement is Under Attack in the US | Jews Say No: Not In Our Name! As Israeli violence against the Palestinian people escalates, support across the globe for justice in Palestine, and calls in this country for the US government and corporations to stop facilitating Israel’s gross violations of international law and human rights, are increasingly common-place. However, rather than engage substantively about those well-documented violations, Israel’s defenders recklessly and baselessly smear Israel’s critics with charges of anti-Semitism, promoting terrorism, and seeking to “delegitimize” Israel. It’s a tactic of long standing. For as long as I can remember, the Israeli government has had a well-orchestrated hasbara (propaganda) campaign directed at those who protest Israel’s unjust treatment of the Palestinian people. More recently, with the growth of the movement to hold Israeli accountable for its human rights violations through Boycott, Divestment, and Sanctions (BDS), these attacks have intensified dramatically. They are being fueled with enormous sums of money and resources from the Israeli government, some American Jewish organizations, and the likes of Sheldon Adelson and others. These campaigns are largely directed at college campuses where consistent, bold, and creative organizing is ongoing against Israel actions and against university complicity in supporting Israeli crimes. Those whose views are considered unacceptable to Israel’s supporters have been targeted with personal and ad hominem attacks that include, but are not limited to, intimidation, campaigns to get professors fired, and ongoing harassment. When speaking on college campuses, I was told story after story of students who were hesitant to speak out because of fear of reprisals. Further, accusations of “creating hostile environments” or being “uncivil–ironic as they are—are yet another attempt to derail the call for equality, for accountability, and for fairness. Last week, Palestine Legal  and the Center for Constitutional Rights  (CCR), which work with students and academics throughout the US, released a report (“The Palestine Exception to Free Speech: A Movement Under Attack in the US” ) that systematically documents the growing suppression, on US campuses, of advocacy on behalf of Palestinian human rights. Describing nearly 300 incidents of such suppression in a period of a year and a half, the report describes false accusations of anti-Semitism and terrorism; baseless legal complaints and administrative disciplinary actions; firings of professors; and ongoing harassment and intimidation targeted at students and scholars across the country. The report calls on university administrators, as well as federal and state lawmakers, to remember that universities are places in which vigorous debate on issues of public policy is expected and should be encouraged; that criticism of Israel, a nation state, is not the same as anti-Semitism; and where First Amendment rights must be scrupulously safeguarded. The report specifically calls on administrators to listen to students on their campus who are victims of such tactics and to insure that all legislative and governmental bodies—including the State Department and Office of Civil Rights—are vigilant in distinguishing criticism of Israeli policies from anti-Semitism. At the same time as the CCR and Palestine Legal have released their report, Jewish Voice for Peace , which works for peace and justice in Palestine and Israel, has also released a report (“Stifling Dissent: How Israel’s Defenders Use False Charges of Anti-Semitism to Limit the Debate on Campus”)  describing attempts by Israel’s supporters to control debate about Israel and Palestine on US campuses. It particularly documents the ways that Muslim and Arab students are being targeted. JVP’s report discusses at length the bullying tactics (toward those speaking out against Israeli policies) being employed by a range of American Jewish organizations; how Israel support groups are abusing student government, as well as changing and creating policies and regulations, to silence debate; and the smear campaigns against faculty through battles over hiring and tenure. As part of the report, an overview is provided of the Jewish organizations that participate and promote such tactics. At the report’s end, recommendations are offered for insuring that these tactics are not allowed to rule the day along with descriptions of organizations that can offer resources and support when needed. 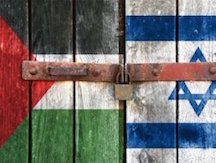 Both reports make clear that the movement for justice for the Palestinian people is growing not just on campuses but nation-wide—in fact, world-wide—and that universities must resist, not participate in promoting and supporting, unethical and illegal strategies to silence debate and, worse, destroy those who have the courage to act with integrity and speak out against Israeli brutality. Donna Nevel is a founding member of Jews Say No!, is on the board of Jewish Voice for Peace and is a member of the coordinating committee of the Nakba Education Project US. This entry was posted on October 15, 2015 at 8:43 am and is filed under articles. You can follow any responses to this entry through the RSS 2.0 feed. Both comments and pings are currently closed.